Tree of Life collar is here by popular demand! The Tree of Life collar is a double leather collar with 5 tree of life conchos on it that are greatly detailed and high quality. 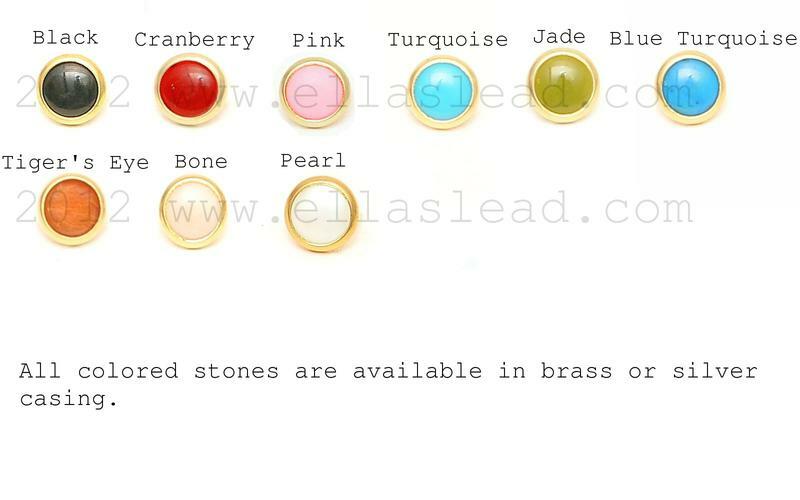 In between each concho is a colored stone (your stone choice is to be picked from the chart below). It comes in silver hardware only.